Sometimes, embryo adoption leads to a new kind of extended family – one made up of the family that donates their remaining embryos for adoption, and the family that has children from those adopted embryos. 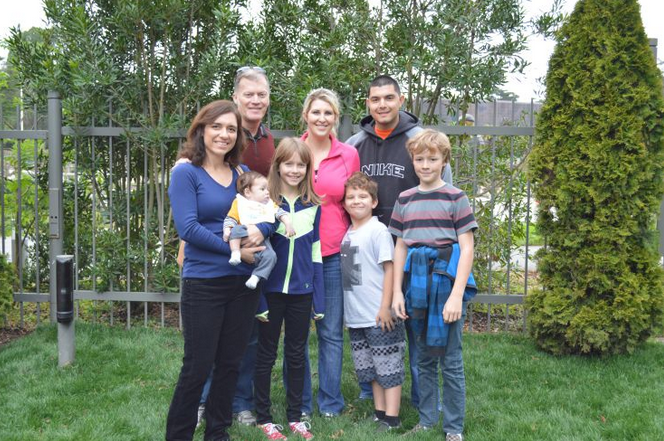 This article features the Granados family and their relationship with their donor family, the Taylors. The Taylor’s 2012 donation of eight remaining embryos to the Granados family led to the Granados’ youngest son, Abel. After meeting for the first time in December 2013, the families have stayed in touch, and even consider each other cousins!